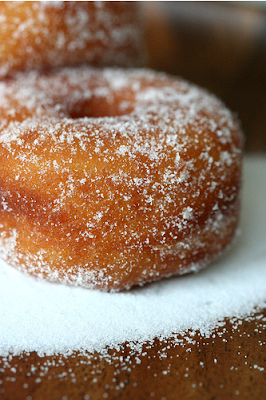 you can still celebrate national doughnut day. hooray for round bits of fried dough that are covered in sugar and various other scrumptious toppings. i can't believe i didn't know about this. thank you dear for informing me. um, now go get a doughnut ... or 6. i bought 6 myself and received a bag full of free doughnut holes in order to celebrate the occasion. i immediately came home and popped those doughnut holes in the microwave for about 7 seconds and then continued to eat *almost* straight from the glaze machine yeast doughnut holes. wheeee! Glad to enable fried dough eating whenever possible. Mmmm. oh wow, what a great excuse to eat doughnuts! sorry I missed this day! wow, that doughnut looks delicious. and microwaving them beforehand is the way to go!